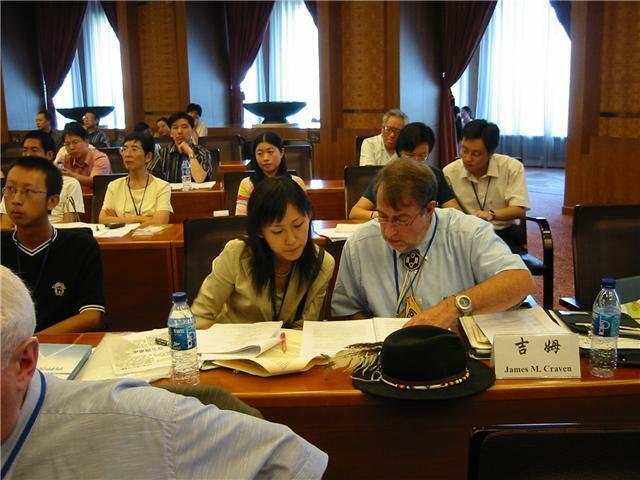 Conference at Tsinghua University, Beijing, China. “Upon suffering beyond suffering: the Red Nation shall rise again and it shall be a blessing for a sick world. A world filled with broken promises, selfishness and separations. A world longing for light again. I see a time of Seven Generations when all the colors of mankind will gather under the Sacred Tree of Life and the whole Earth will become one circle again. In that day, there will be those among the Lakota who will carry knowledge and understanding of unity among all living things and the young white ones will come to those of my people and ask for this wisdom. I salute the light within your eyes where the whole Universe dwells. For when you are at that center within you and I am that place within me, we shall be one.” . hey prof craven i tried to contact you for a letter of rec. what is a good email to reach you at? I hope you can forgive me for contacting you on your blog, but I was unsuccessful in contacting you via other means. My father had very different views than many on Chiang Kai Shek, the Kuomintang and the like and considered them mostly corrupt. This view was reinforced with his many trips to Taiwan as a pilot for Northwest Airlines and in 1981 when Northwest got their routes to China back, my father flew some of the inaugural flights to Shanghai and Beijing. My father trained me as a pilot and I flew many hours with him. Although he had an extreme hatred of Japanese. toward the end of his life he put it down (he learned to read, write and speak Japanese well during his trips to Japan after the war) and at his funeral as one of his pallbearers was Masajiro Kawato a former Japanese Zero pilot who shot down and became friends with Pappy Boyington. My father helped him when he took sick and rehabilitated him as a pilot and Masajiro flew non-stop in 1976 from Tokyo to Crescent City California solo as a tribute to the soldiers lost on both sides of the war. thanks for reading this blogsite and my articles on my father. hi Jim are you able to contact me at my email address? (unless I am mistaken it should be visible to you). thanks. I VERY much appreciate your blog on Dr. Bethune. I have a website dedicated to “Building a Bridge of the Heart between China and the West.” (If you would like to see: http://ramonamckean.com/ ). I want to very soon write a blog on Dr. Bethune, who certainly made an impact on me, a Canadian, while I was in China 8-9 years ago. Would you be okay to send me your contact info? There are some things I’d like to talk to you about/ask you. I read your blog for inspiration and to keep me focused. I am a disabled Tribal Elder of the Confederated Tribes and Bands of the Yakima Indian Nation. I am constantly having problems with the delivery of health services when I try to use my “open card” (fee-for-service). After doing some research and speaking with quite a few other Indians…I realized it was happening to all of us. I had to end up filing a Civil Rights Violation against the State of Oregon. I was hoping that you might go visit the site at http://ndnfree.wordpress.com/ and be able to give me some constructive feedback and suggestions. I did get to present the question to the KATU town hall meeting which was broadcast live. Although no one could answer the question, they were notified on air that the complaint was valid. Thank you. Jim contact Marcella, same info..
Hi Jim , I recently meet a lady, I was talking to her about land issues on the Blackfeet Reservation she told me you might have some knowledge about the issues I was talking to her about. How can I contact you. Thank you Happy Holidays. I am from the Canadian side but have close friends and relations at Browning. Hello, Jim. Just a quick word of support and thanks for your blog, which I’veen following for a couple of years now, though I’m not the commenting type. Your latest entry, on the grotesquely praised American Sniper is superb. Thanks again. I can not tell you how critical your story and blog information is to my fiance and I. We, too, are “living the Clark County dream”… With nothing prior beyond a speeding ticket on either of our criminal records, we now are under intense surveillance (at what has to be tremendous public expense based on the equipment and man-power), unlawful search and seizure, have been victim to false arrest, pretextual traffic stop, other blatant harassment, received threats of ongoing “investigation”, and warnings of pending prosecution for “practicing law without a license”. We became targets just over a year ago after we took a stand publicly against an unfathomable level of criminal misconduct in an attempted murder case. An innocent man (with high functioning Asperger’s Syndrome) now sits in prison for a crime that the evidence proves he did not commit. We have made too much noise and have discovered too many dirty secrets to slide under the radar of VPD and the Clark County judiciary. We would love to swap “misprision of felony” stories and get some feedback if you are willing. Your insight and actions will continue to be a valuable resource as we move forward through this nightmare… The ordeal has taken a toll, but we continue to believe, as we have from the start, that challenging and reporting this kind of corruption is a duty, not a choice. Thank you for your reply and most of all for you and your finance standing up to and refusing to be bullied by corruption and those who practice it. The good news is that when we compare notes and documents as I have with others, you will find the same players, same networks, same modus operandi, same forms of arrogance and treachery, same agenda and some of the same sub-Rosa organizations. They are what my mother used to call “The Real White Trash” who are smugly and proudly full of their inbred whiteness they had nothing to do with along with their petty powers and privileges of little frogs in very tiny ponds. Please write to me at my email omahkohkiaayo@hotmail.com I am also familiar with Battle Ground school district and who some of the backroom types (both political parties) are and how they operate as well as what their agenda are. The good news is that you do not have lies to remember and correlate with other lies; you do not have to worry about collaboration with corruption and law-breaking or a co-conspirator going down and taking you and others down also; you do not have to worry about victims of treachery finding each other and uniting against and exposing you in lengthy depositions; you do not have to worry about past perjury catching up with you. As for practicing law without a license, all competent persons have a right to represent themselves pro se and/or to have others assist them in pro se representation; in fact the only federal job that requires a law degree and bar license is Solicitor General not even Supreme Court Justices are required to be lawyers and many were not. When I was a child, my mother used to say: “In this world there really is evil and in the battle between good and evil most of the time evil will win because evil wears many masks, evil can be seductive sand alluring and evil has no limits in its ruthlessness whereas decent people do have limits. Sometimes, she would say, the only victory you will ever achieve is at least you did not break or bend, at least you refused to be bought off or co-opted, you refused to answer corruption with the same; never, she would say, never regard such a victory as any kind of small victory as it is the stuff and motive force of history: ordinary everyday people doing extraordinary things and engaging in resistance to oppression rather than self-styled extraordinary people doing what they claim to be extraordinary things. I have a close friend also driven out of Battle Ground with the same tactics. A very very wise woman was / is your mother. Thank you, Jim, for all the good you do and for all the good you “simply” are. You are exactly correct: We all have a duty, not a choice, not a preference, a duty, to expose, stand against, refuse to be coopted by, refuse hush money from, any forms of corruption and commission of felony crimes. This is not merely a matter of faith, politics, backgrounds; it is a matter of law–18 USC 4, 73, 241, 242…imposed upon all of us but more so on Officers of the Court (those acting with active Bar cards not pro se), law enforcement, members of the judiciary who have additional duties of law under 28 USC 455, 28 USC 1361 and other federal statutes. Thanks Bill and I return the respect and sentiments. You clearly understand that corruption is not about political partisanship (both parties are riddled with patronage, corruption, poseurs, frauds, malignant narcissists, megalomaniacs, petty factions, attempts to rig elections and subvert free elections, buying elections, lies, cheap posturing, etc); it is not about left vs right; it is about honor and dishonor; it is about the law vs the lawless and bringing the law, liberating the law from capture and perversion, from the lawless in the judiciary, law enforcement, politics and from among elements passing themselves off as “We the People”. It is about public employment, resources, jobs and trusts being treated like personal property of backroom, non-transparent, non-accountable, generally unemployable without political patronage, parasites, frauds, poseurs, liars, cheats, thieves, snitches, management stooges, perjurers, suborners of perjury, and many other real crimes that cause real pan and suffering to real people. They must be first exposed with modern and legally proper tools of network analyses; they need to be dragged out in the sunlight; they need to be confronted civilly with hard questions and documentation whenever and wherever they run for office; they need to be investigated and taken down with the law they ignore, subvert and show contempt for; this means all of them no matter what political party, what government agency, what private power-networking cults like Rotary etc, no matter what religious institutions, no matter what local personalities, no matter what institutions; no fear, no favor, what is right and lawful vs the opposites. 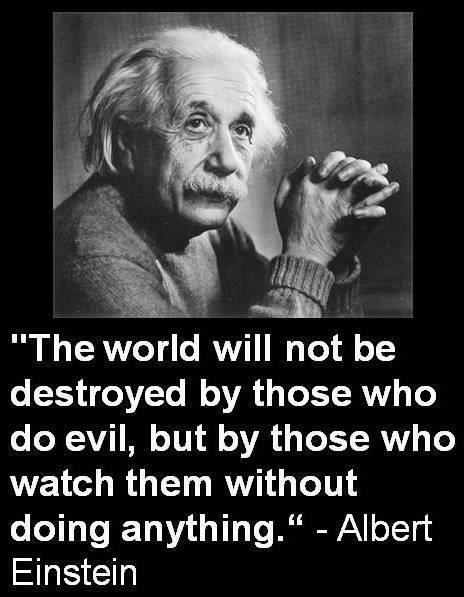 Court Appointed Guardians, abusing the elderly, WA State Bar’s Office of Disciplinary Counsel, WA State Bar’s Board of Governors, half-truths, lies, fabricated evidence …. It is the same story of how lawyers and judges have ruined our “judicial system” … and this story is told by a lawyer, Rosemary Kamb. Lawyers don’t like to be wrong. Neither do Judges or those with the authority of Judges, like Commissioners. To read Rosemany’s account of the WA State Bar’s criminal enterprise please click the link below. The WA State Bar — the Criminal Enterprise through the eyes of Rosemary Kamb. | Corrupt Washington. I have been following your blog as well as “Corrupt WA” and have gained so much insight to our own battle with the CCC (Clark County Corrupt)… to see my latest “telling of truth” visit 1believe2obey3love4trust.blogspot.com (Garrett’s Voice). I wonder if you might have any words of wisdom or advice about potential backlash I may encounter. Thanks for all your valuable insight and your courage to lead the way in such an important cause! Thank you for the follow up information. Unfortunately, your office did not respond within 5 day time frame guaranteed per records request production. Furthermore, for the City to subordinate my request for records disclosure to a subordinate department within the city in which an investigation has been newly initiated by the PSU that proudly determined my complaint 2014-0218 was UNFOUNDED, is grossly insufficient. For the record, Traci and I are the complainants. We are the victims of police harassment. We will not allow the tables to be turned upon us due to a changed narrative by VCA’s Office. I am still in the midst of my research and until such time as I deem satisfactory, I urge you to consider all of my unsatisfied requests for public disclosure to remain open. And please, do not interpret my requests outside of state or federal statutes. Let’s play by the same rules. In an effort to streamline your requests and respond to your inquiries, we will be responding to each one of them separately. 1. VPD Evidence unit “chain of custody” RE: V14-6772 of my iPhone. I would like to know when the phone was logged into Evidence and each time it was checked out, who checked it out, and for how long the phone [was] not in the evidence unit’s custody. · The City provided the requested information on March 13, 2015. · On March 19, 2015, you amended your request to include an inspection of the VPD policy manual regarding evidence handling by officers and staff. ¨The policies were sent to you in a link to the ftp site on March 20, 2015. ¨On March 23, 2015, you requested copies of Policy 804, Property and Evidence Procedures; Policy 814, Computer and Digital Evidence; and policy formerly known as Chapter 20. ¨On March 24, 2015, you requested a copy of Policy 814: Computer and Digital Evidence. ¨The City is providing you with the attached PDF documents that fully responds to item #1: VPD Policy 814, Computer and Digital Evidence and VPD Policy 814.52, Submission of Digital Media. Neither of these policies were adopted and remain drafts. The City is also providing you with Chapter 20 Internal Affairs Investigation, which has been superseded. 2. Copy of any search warrants issued for the subject police report, V14-6772. · The City directed you to the Clark County Sheriff’s office to obtain a copy of the above-referenced report on March 13, 2015. ¨On March 19, 2015, you responded indicating you would contact the sheriff’s office, and this portion of your request was no longer relevant. 3. Copy of the City Attorney’s records and investigation RE: V14-6772. · On March 19, 2015, you responded to the City’s March 13, 2015, request for clarification and confirmed you are seeking the file complied by the City Attorney’s Office after the police report was referred by VPD for the Prosecutor’s review. This portion of your request was provided to Ms. Eccles days earlier on March 17, 2015. Under separate cover, an email will be sent with a PDF copy of the City Attorney’s records provided to Ms. Eccles. ¨As of April 6, 2015, the Vancouver Police Department has opened an investigation under 2015-055. These records will be a part of the investigation. At this time, we do not have a timeframe of when the investigation will be completed. It is believed, at this time, that these requested records (which will be compiled by the Professional Standards Unit) contain information, the nondisclosure of which is essential to effective law enforcement or to a person’s right to privacy. Therefore, these requested records will not be produced at this time. RCW 42.56.240(1) provides an exemption for public inspection and copying of specific intelligence information and specific investigative records compiled by investigative, law enforcement, and penology agencies, and state agencies vested with the responsibility to discipline members of any profession, the nondisclosure of which is essential to effective law enforcement or for the protection of any person’s right to privacy. ¨The City directed you to the Clark County District Court Administrator for these records on March 13, 2015. We do not have access to the county’s email system. ¨On March 19, 2015, you responded indicating you would contact the Clark County Superior Court administrator’s office, and this portion of your request was no longer relevant. ¨The City directed you to the Clark County Superior Court Administrator for these records on March 13, 2015. We do not have access to the county’s email system. If the above interpretation of your request is incorrect, please clarify your request so the City may fully respond. If you do not advise that we have misinterpreted your request in any way, then the City will conclude that it adequately determined the scope of your request. The City’s recommendation is to close this records request until the investigation has been completed since we do not have a timeframe for completion at this time. I am NOT in any such awful situation but just have to say: What a God send you are to so many. Thank you and God bless you big! Thanks for the kind and clearly sincere thoughts. My Father and Mother both taught me that whatever skills I may possess were not acquired by me alone but from others and are not to be used for me alone but in service to others; the ones most in need, the oppressed. Beautiful Blackfoot prayer and thought-provoking other quotes. Thanks. Hi, I just stumbled upon your blog, as I’m sitting here in Boston writing up some material or my Complaint of Judicial Misconduct in the First Federal Circuit. Thought I’d share (ZIP file, downloadable anonymously, no need for Dropbox account): https://www.dropbox.com/s/v7s4inzzjc06u4v/SupCt%3D16-343.zip?dl=0.